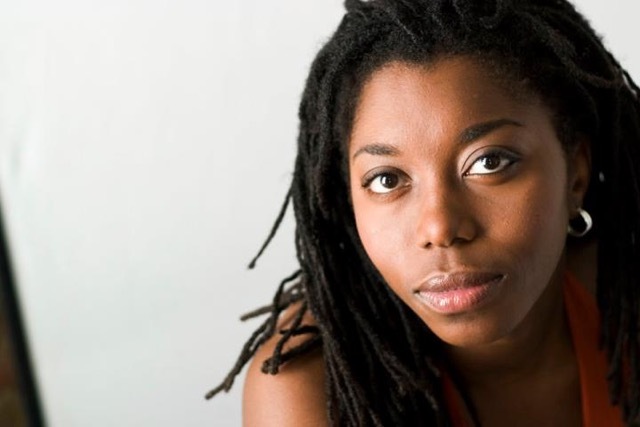 Donnetta is a 2018 playwright for New Territories, a playwriting residency in partnership with Serenbe Playhouse. Brooklyn based actor and playwright. Her plays include LAST NIGHT AND THE NIGHT BEFORE (2017 Kilroys List. 2017 Colorado New Play Summit. 2015 National New Play Network New Play Showcase. 2015 Todd McNerney National Playwriting Contest Winner. 2014 Eugene O’Neill Theater Center National Playwrights Conference Semifinalist), LAID TO REST (2017 Kilroys List Honorable Mention. 2017 Space on Ryder Farm Creative Residency. 2017 Ground Floor at Berkeley Rep. New York Theater Workshop Mondays @ 3), THE REVIEW OR HOW TO EAT YOUR OPPOSITION (2013 Eugene O’Neill Theater Center National Playwrights Conference Finalist), THE NEW NORMAL and THE COWBOY IS DYING. Her work has been read or developed by Denver Center for the Performing Arts, The Labyrinth Theater Company, New York Theater Workshop, Orlando Shakespeare Theater, Portland Stage Company, Pure Theatre Company, [the claque], Naked Angels, Classical Theater of Harlem, Slant Theater Project, terraNova Collective, Theatre 4 the People, TOSOS, The Group Lab and Coyote REP. She is a 2016-2018 Time Warner Foundation WP Playwrights Lab Member, a member of the Actors Studio Playwright/Directors Unit and is the inaugural recipient of the Doric Wilson Independent Playwright Award. She is also a Civilians R&D Group and terraNova Collective Groundbreakers Playwright group alumna.